Exciting news from the campaign team! Representatives from Save Hull’s Doula and Breastfeeding Peer Support Service’s Campaign Team went to the Guildhall today to officially hand in the report and petition. Today is #nationalvolunteerday did you know that the volunteers at the Doula and BFPS service have dedicated over 38,000 hours in the 12 years the service has been running. 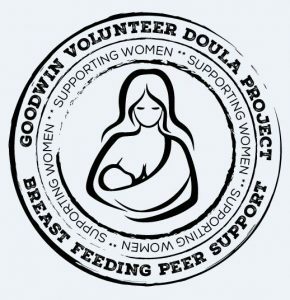 Save Hull’s Doula and Breastfeeding Peer Support Service are looking for testimonials from both volunteers and women who have accessed the service. If you would like to contribute please private message the page direct! Can you help by writing to your local MP? Please see the Save Hull’s Doula and Breastfeeding Peer Support Service Facebook page for a template letter. Save Hull’s Doula and Breastfeeding Peer Support Service Facebook page has been created by passionate Goodwin volunteers. The Change.org petition created last night now has 2073 signatures! Volunteers from the Goodwin’s Doula and Breastfeeding Peer Support Service and Hull & East Yorkshire Home Birth Group featured this morning on Radio Humberside’s Burnsy show. The current contract is due to end in August 2018. This happens every few years and it is not unusual for Goodwin to re-tender for their contract. Historically they have always been successful but this year the council have been told to save a lot of money and are looking at services to cut. This project is one of those that have been proposed to end, however, this is only a proposal at this moment in time. Goodwin are ready to fight their corner to prove why their service is needed and the potential impact that this proposal could cause. If you would like to support the project there will be a public council meeting in December for members of the public to attend to discuss these proposals further. The final decision should be made in January from the council as to which services will be cut. If you feel you want to write to your local MP to say why you feel doula and BFPS support is important, please do. “Hull City Council are proposing to cut all funding to the Goodwin doula and breastfeeding peer support service in Hull as part of the public health budget cuts. The project relies on council funding to coordinate the hundreds of volunteers who give up their time to help women across the city. The doula and breastfeeding peer support project was designed to improve the health and skills of pregnant women and to address the historically low levels of breastfeeding in Hull. Support is targeted to the most vulnerable women in Hull and referrals are received from a range of professionals. Without this project most of the women it serves will end up requiring more expensive health and social care interventions thus creating extra and additional costs that far outweigh any short term savings. The project also benefits its volunteers who have achieved 38,000 volunteering hours in its 12 years of running and 15% of those volunteers have been supported to move into permanent careers in midwifery, nursing or social care, including graduate study. “Volunteering has made me feel like im making a massive difference to peoples lives! I run the helpline and i have such a happy feeling when a mum tells me how helpful i am and i literally cannot get over how much more confident i feel in myself! I never sought any support through the service myself but having been on a journey of premature babies and expressing and different feeding methods i joined to give out education i learnt so mums wouldnt feel alone!” – Claire Smith breastfeeding peer supporter.